Our helpline is open 24/7, and our staff and volunteers receive a variety of calls, texts and emails. One team member tells us more about how they reach out and respond to young people. We get any number of contacts from young people to the Missing People helpline every day. Often this is because they’ve been reported missing and have been sent a message – a ‘Textsafe’ – encouraging them to get in touch with the helpline, which is free to contact, confidential and open 24 hours a day. 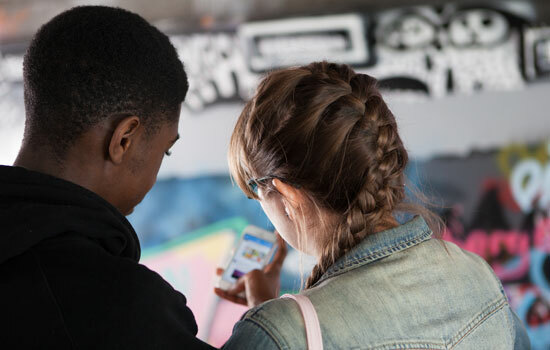 If a young person wants to know how we got their number, we’ll be honest about this: You’ve been reported missing and the police want to check that you’re OK. They asked us to text you because they know we’re a confidential service for people who’ve run away from home. If they tell us they’re OK then we’ll check this with them (Are you in a safe place right now?) and if they want us to stop texting them then we’ll respect this, but will first make sure they understand what it means to be missing and that we’ll always be there for them: We won’t text you again unless you want us to, but if you’ve been reported missing it’s because someone is worried about you and would like to be safe. We’re here for you at any time, day or night, if you need some advice or just a bit of support. Keep in touch. For anyone – but particularly a young person – to trust someone they’ve never met, requires them to have confidence in the helpline. We’re non-judgemental; we won’t ever tell someone they’ve done wrong by running away or going missing, and we will listen to them if they want to talk about the reasons why they’re away. But we will always be working in the best interests of that person, thinking all the time about their safety and welfare. If someone tells us they’re going to sleep on the streets instead of going home, then we’ll be honest with them and tell them that it doesn’t sound safe. We’ll talk to them about alternatives to rough sleeping and ask them about the reasons why they don’t feel they can go home. If they tell us it’s not safe to return then we’ll explain how the police will want to know this so they can protect them. We will tell the young person that they’re not alone and that there are people, services and agencies, who want to help. Often, the young people who call us are lonely or feel isolated. They don’t have someone they can talk to, or else don’t feel that anyone will understand. We will listen to them, talk to them about the options they have, and help them work towards being in a situation where they don’t feel as though running away is their only option. Sometimes all the person needs is the space to talk – or text – so they can make a decision that’s right for them. 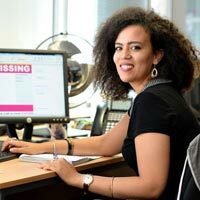 We can help people get messages to their family, which can often be the first step in a young person returning home; getting word to their parents and then also receiving a message back of We miss you, we want you home. Or we can help them make contact with the police officers who are looking for them to help them be safe. Even after they return home, the helpline is always there, for anyone away from home, or thinking of leaving.